Speaking of Fetes de Fleurs hosts and flower party locations... we are pumped to be able to announce our newest location that is opening up NOW for the Spring and Summer seasons ahead of us. 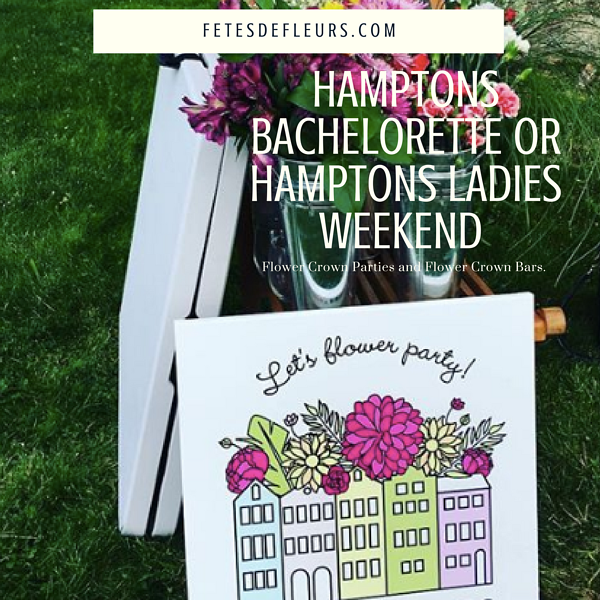 Request a flower crown party for your Hamptons Bachelorette Party. I went to Montauk 2 summers ago for a week and I fell in love with the charm, simplicity and chicness of the little town. Just the right mix of luxury, beach, fitness, restaurants and things to do! I took the train out from NYC when my sister lived there. The train is perfect because there is a stop in Montauk and you can get a taxi or uber to your hotel. I stayed at the Montauk Beach House when I went and plan to go back this summer for at least a week trip. So let's start there since that is where I stayed. There are so many amazing little hotels to stay at that it might be hard to list all of them here but we will try. We will also update this list as the summer season goes on with our favorites. Last weekend we had the best time at our official Hamptons launch party. We setup a DIY flower crown bar at the lovely Bridge Lane tasting room in Mattituck, NY in the North Fork area. You can learn all about the Bridge Lane Wine tasting room here on their website. 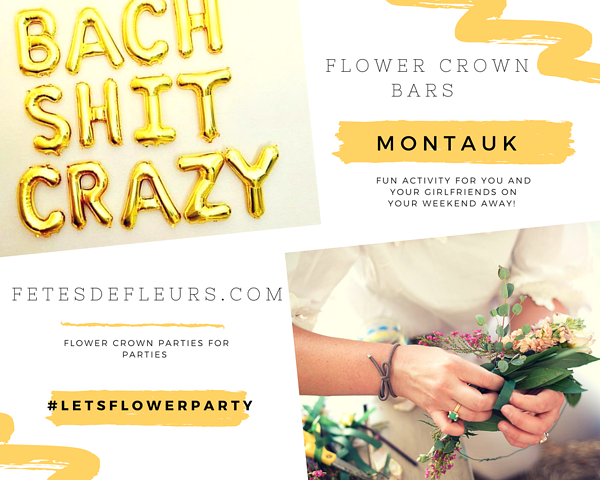 We were so thankful that they wanted us to come out because we couldn't have asked for a better way to launch our flower party biz in the Hamptons for the summer season- drinking rose with a bunch of rose crawlers and making flower crowns. Pinch me, dream come true!